Bahamas Press has now identified the male victim in that fatal shooting on Bimini. 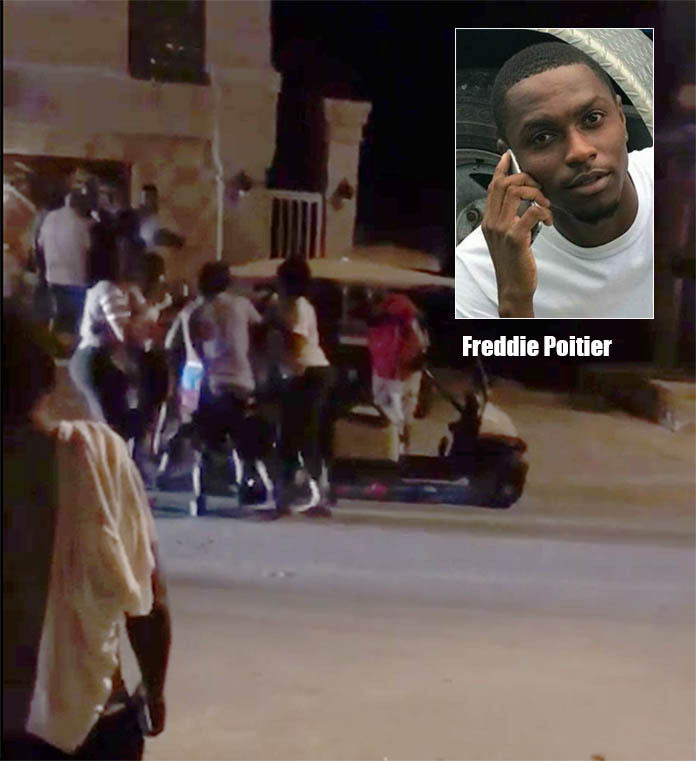 Victim has been identified as Freddie Poitier a resident of Freeport Grand Bahama. Bimini – Breaking News coming into Bahamas Press from the community of Bimini where we can report homicide #78 has been recorded on that island. We can confirm the incident unfolded when a masked gunman in hit style opened fire on his victim who was sitting on a golf cart outside a bar in Porgy Bay. Sources say the gunman fled the scene following the shooting. The victim, who goes by the name Freddie Poitier is a resident of Grand Bahama. He had just arrived on the island from the community of Freeport and was not employed on Bimini. Police quickly cordoned off the crime scene as an investigation begun. The victim was pronounced dead on the scene but was transported via a golf cart to the island clinic. Hundreds in the quiet community flocked to the spot to get a glance at the crime scene. This is the first homicide incident in Bimini for the year. If the Bahamas gov’t can’t control the swful violent crimes they should ask Donald Trump for help if the president sends in FBI and backup cops from various US regions this reporter believes crime will dive !